When I’m gone, let them say I was a team man. There are athletes who transcend sport; whose grace, skill and commitment to the greater good, light the way for the rest of us. 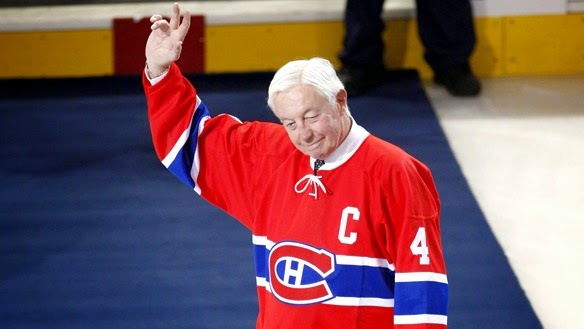 I grew up watching Jean Beliveau play hockey. He was captain of the legendary Montreal Canadiens, winner of ten Stanley Cups, and above all, a gentleman, beloved by all. They say he died Tuesday night. I don’t have to believe it if I don’t want to.